Two trends in one post today, guys! As soon as I saw the choker start to emerge, the biggest smile spread across my face. Who didn't have a choker that they loved to rock growing up?! Okay, maybe that's just the '90s kids. But it's true! I know there are plenty of you out there, just like me, who have loved seeing this trend reemerge. This choker in particular is a favorite of mine because it includes a splash of gold! As a gold jewelry fanatic, this throws a smile all over my face. 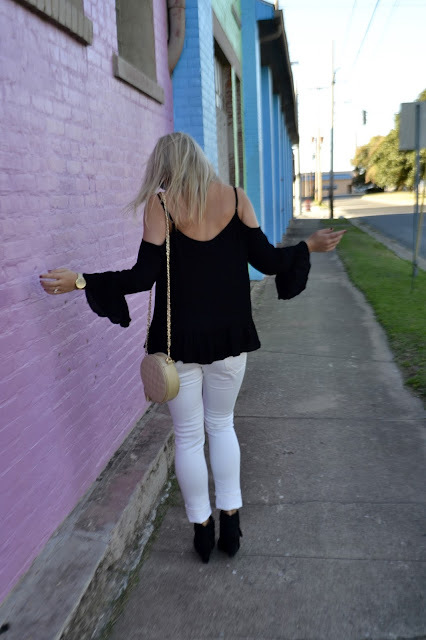 Moving on to the old faithful trend - cold shoulders. 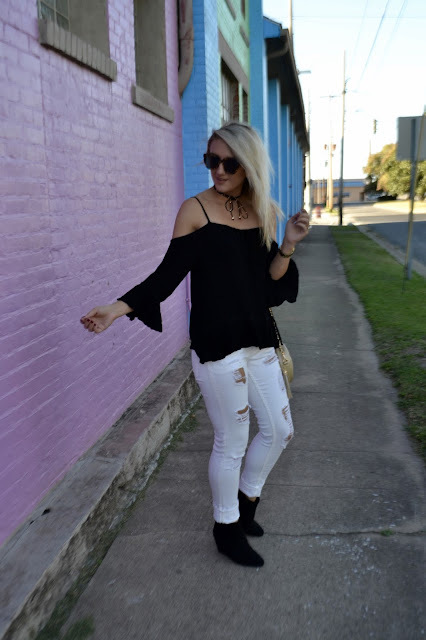 This trend couldn't be more practical for the fall months. Here in Kentucky, we'll have 80 degree days and 50 degree nights. What is a girl to do in circumstances like that?! Let those shoulders peak out is what! This top especially allows for just enough breeze to keep you cool but the sleeves cover you in the night. A win, win if you ask me! 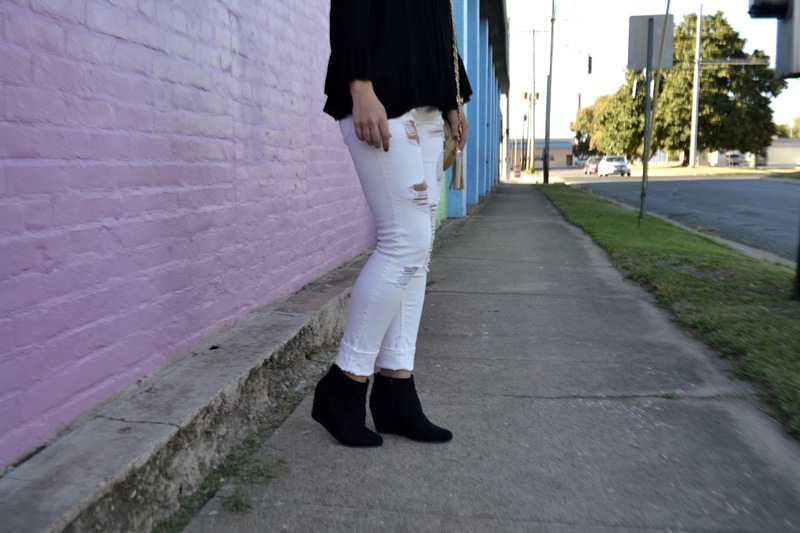 Throw on a pair of booties and your favorite denim, you're ready to run out the door! Whether you're grabbing a cup of coffee with a friend or heading out for the night, this look is perfect. 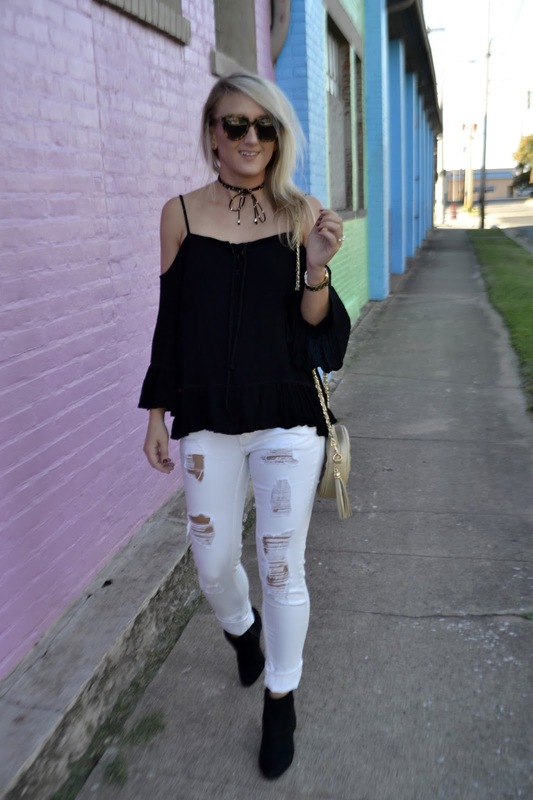 It's a great day to night look! 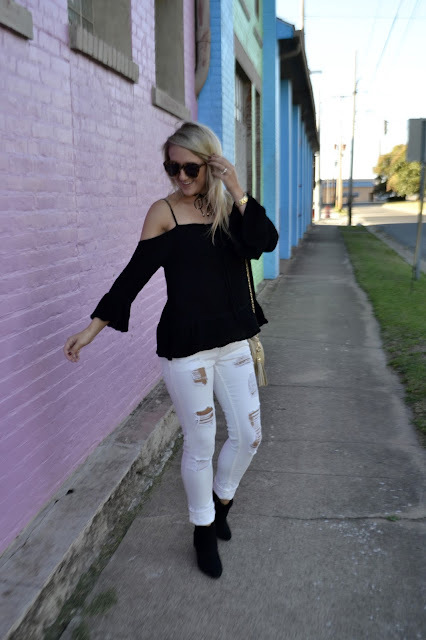 What are some of your all's favorite fall trends? I hope you all are having a fabulous week so far! I'm off to Bowling Green today to get all the details set for our Wedding Book event Thursday evening. Wish us luck! It's one of my favorites as well, Melanie! Love that choker on you! I'm a big fan of the choker, for sure! Love this, doll! 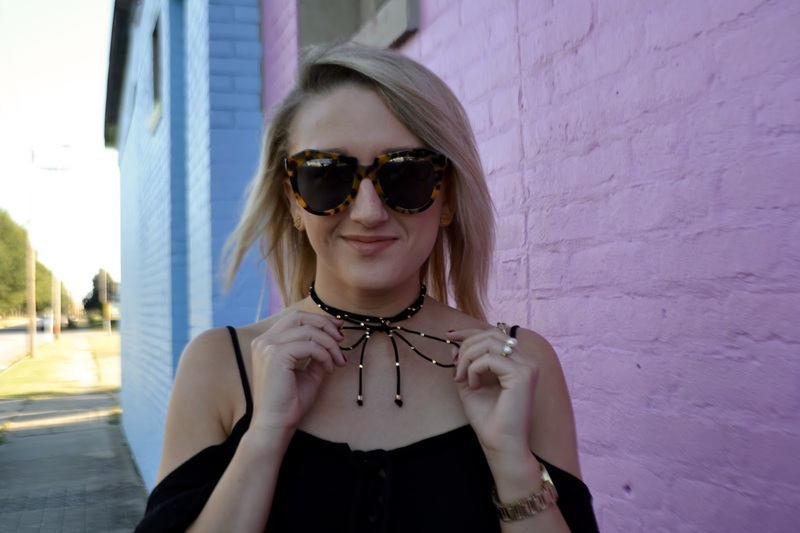 Loved the post, and I am seriously in love with your necklace! !